I never knew this type of sausage until we moved here in New Zealand, it was first introduced to by my boss who was South African when one time we had barbecue in the office on one summer day. I was impressed on how it looked, that was the first time I saw a long sausage probably 2 metres in length coiled up and barbecued. Boerewors for those who haven’t tried or even heard of it is a traditional South African sausage made out of minced meat like pork, beef and lamb mixed with pork fat (coming from speck or bacon) and an array of spices like coriander seeds, nutmeg, allspice, cloves and thyme. 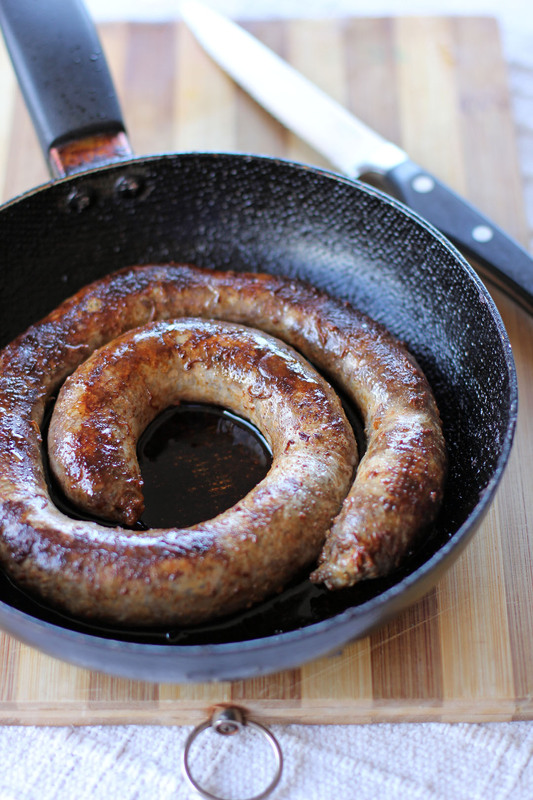 Unlike common sausages which are dried or preserved boerewors is usually cooked fresh. It was brought over by the Dutch settles in the region and traditionally it uses animals the farmers raised hence the name which literally means “farmer’s sausage”. Today we will try to make one at home without any sausage makers just a funnel with a big hole and some spoon to push it in. 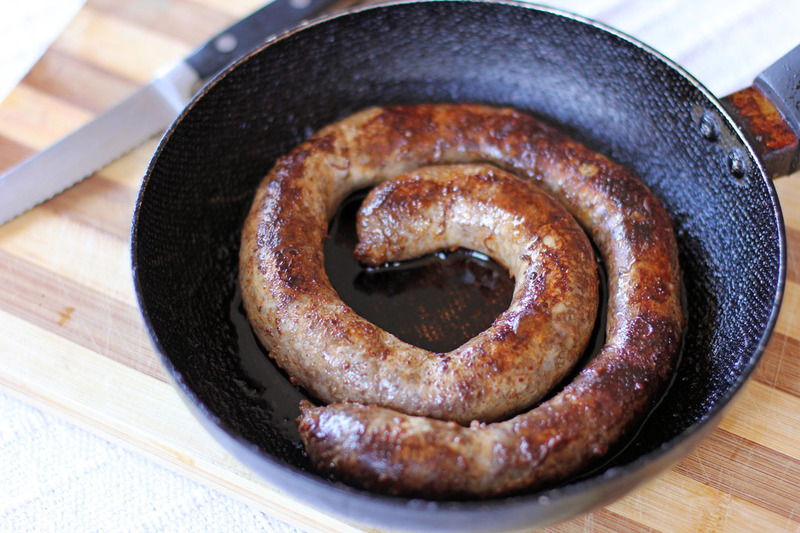 Boerewors is commonly cooked in a Braai or a South African barbecue spit and since its summer here down under this next coming months are the perfect season to have this at home. Summers is the perfect time to pull that barbecue out of the shed and time to bring family and friends together for a nice barbecue grilled lunch or dinner, it is also the perfect time to be with those pesky insects especially when you are dining in your deck, your lawn or any place outside your house, just imagine those lurking moths and mosquitos this summer. Thanks for the invention of insect and mosquito repellent you can enjoy having that scrumptious meal in peace. In line with this we are giving away some Mortein Gift Pack which is perfect for your next barbecue event and like before if you reside in New Zealand or Australia you can enter the draw. So what are you waiting for send your details through this page and be in to win this prize pack. Place coriander and cloves in a pan over medium heat and cook until brown and fragrant. Using a mortar and pestle pound the roasted coriander and cloves and sift to remove the husks. Combine coriander and cloves with allspice, nutmeg, dried thyme, freshly ground black pepper and brown sugar. Mix the spice mix with the minced meats, season with salt then add the red wine vinegar. Grab your sausage casing then secure the end then place the other end in a large hole funnel then gently add the mix and push it to fill the casing. Do not over fill the casing otherwise it will burst during the cooking process. When finished tie the end and arrange it in a coil shape. Prepare you barbecue grill and cook your Boerwors until outside skin is charred and crispy. I grew up eating boerewors and yours looks fantastic Raymund. Your sausage looks terrific. Too cold to think of eating outside with snow on the ground but I’m sure it is great cooked in a skillet as well. That sausage looks sooooo amazing! I love it! i think I can eat it with some pandesal as well. hehehe. We have a South African lady here in Hawke’s Bay who makes Boerewors and they are delicious – yours look great Raymund. It looks super delish, Raymund! My children love sausage… I am sure they would enjoy this one a lot.